Women from all walks of life came together at last Saturday’s Women’s March in a massive display of solidarity and resistance all around the globe. One such protestor was Jennifer Boylan, a long-time trans activist and author who marched with thousands of others in the Women’s March in NYC. While marching, Boylan used Twitter to send out a message to her friend Caitlyn Jenner, who was noticeably absent from the protest, about the responsibility women have to fight for one another ― even if they identify as conservative. The video made waves on the internet and some people tried to claim that Boylan was “throwing shade” or “dragging” Jenner. But Boylan told The Huffington Post that the intention was not to come for her friend ― who has previously stated that she is a conservative ― but rather start a larger conversation about what is articulated by Jenner’s decision to attend President Donald Trump’s inauguration and not the Women’s March. 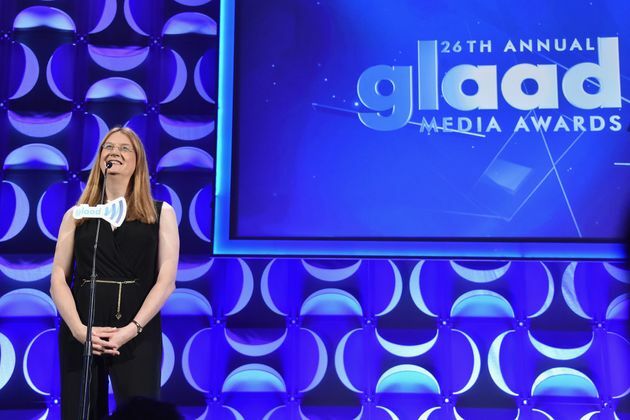 Jennifer Boylan speaks at the 26th Annual GLAAD Media Awards. In Boylan’s eyes, if someone lives their life as a woman ― however they choose to define that term ― then they share a responsibility to fight for the rights of womanhood across the spectrum of identity.